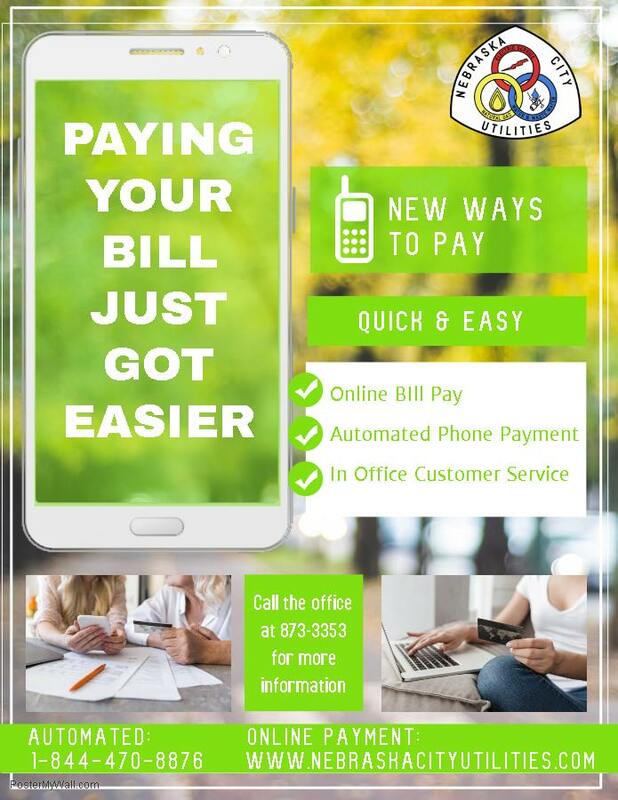 We are excited to announce that online bill pay is officially available!! 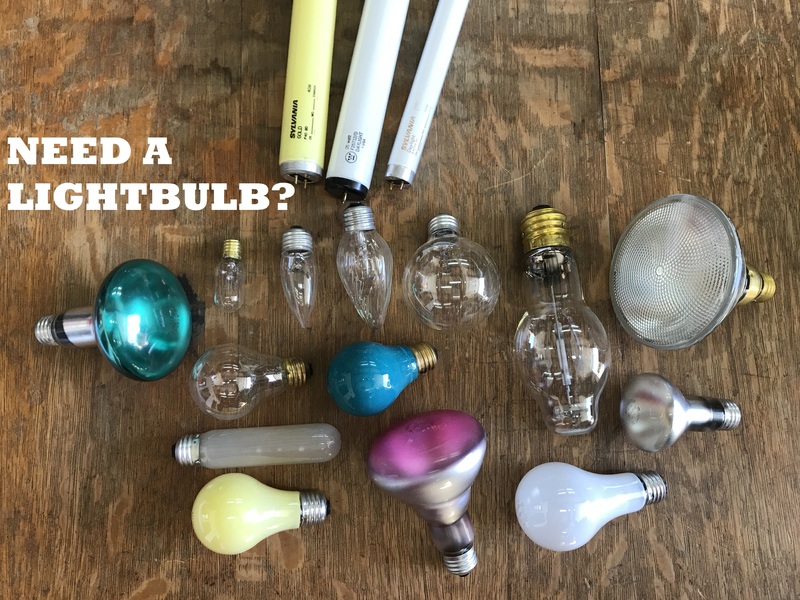 Nebraska City Utilities has been working to provide you with the best possible service at the lowest possible cost not just in your services received but in how you pay for those services. Our online bill pay is available with a click of a button on our website just look for the option I’D LIKE TO: PAY MY BILL ONLINE. You will be required to sign in with your customer number and email address, but we have made this process as simple as possible. If you have any questions, please call us at 873.3353. In addition to paying your bill online we also offer 24-hour automated phone payment by calling 1-844-470-8876. You can also still visit us at 100 Central Avenue or call 873.3353 to pay your bill. You can also speak to our billing department to set up an EFT (Electronic Funds Transfer) which is a free service we offer that ensures your bill is paid on time and in full. The bill amount due is directly pulled from your bank account on the due date. Hassle free and no late fees! 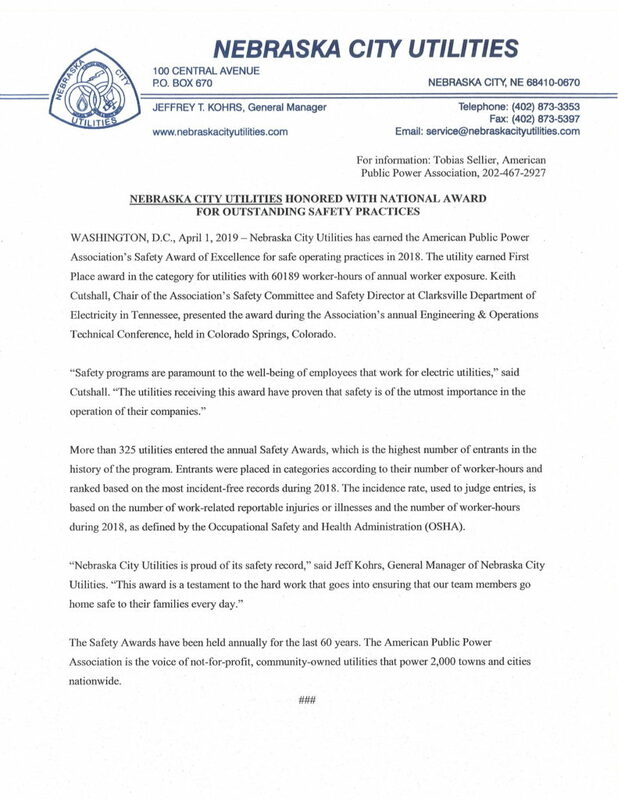 Nebraska City Utilities Earns 1st Place Award in Safety. 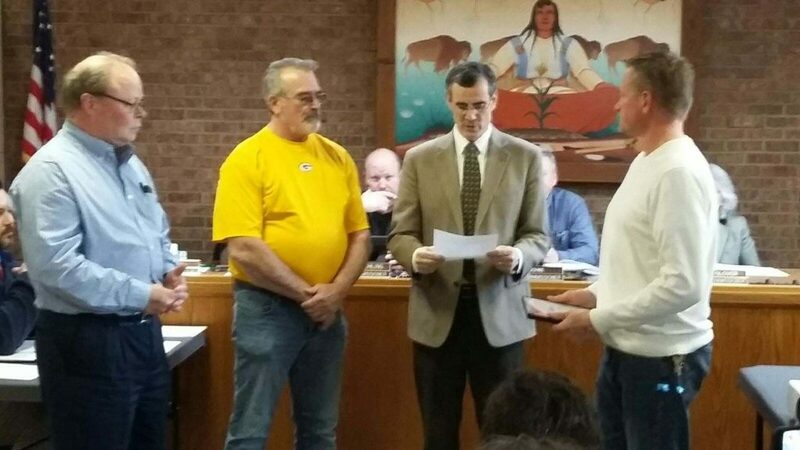 Nebraska City Mayor Bryan Bequette recognized Nebraska City Utilities for earning 1st place in the American Public Power Association’s Safety Award of Excellence . At this time we do not have any concern about our city water. The water supply is safe. Our water plant is operating normally. We are able to operate our wells in our well field. There is no concern that we can foresee with the water supply. If we feel there is a change or a concern, we will provide notification through website and social media. Our apologies for the quality of the video due to the short notice of needing to address this concern and still wanting to provide reassurance to our customers. 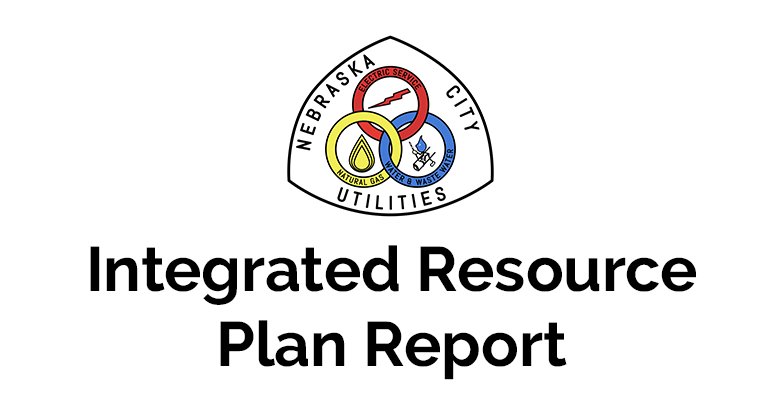 A tradition of public power in Nebraska has brought real benefits to the state, including low-cost electricity, local control, and responsive customer service. In rural America of the early twentieth century, electricity was a scarce commodity. Business hours are 8:00 am till 5:00 pm Monday through Friday, however we are staffed 24 hours a day to provide emergency dispatch of personnel if needed by our customers. 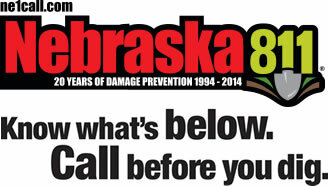 Please call (402) 873-3353 day or night to reach Nebraska City Utilities personnel. 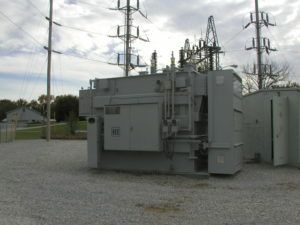 ©2019 Nebraska City Utilities. All rights reserved. Site designed and powered by BCom Solutions, LLC.